What is it? 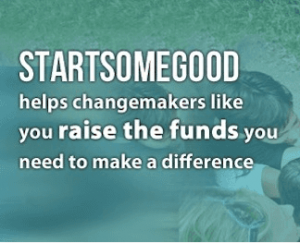 StartSomeGood is an outstanding crowd funding resource. They provide tools for social change initiatives. Along with raising funds, they provide the education, support and practical tips for a successful venture. Who uses it? Changemakers developing social good projects can develop a campaign to raise funds and a venture to share their vision. Click here to see how it differs from other crowd funding services. How can it help? StartSomeGood has a free Crowdfunding 101 email course with significant practical advice lasting 9 days. Its unique Tipping Point Model is designed to help you and social initiatives raise funds successfully.